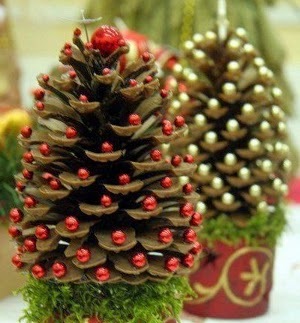 Pinecone Christmas trees. 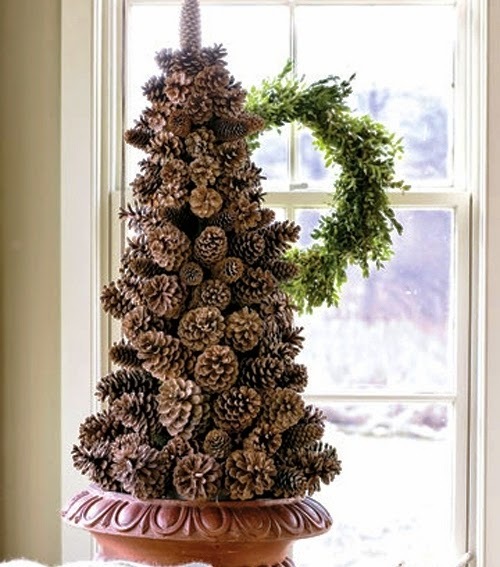 It's amazing what you can do with just pine cones. 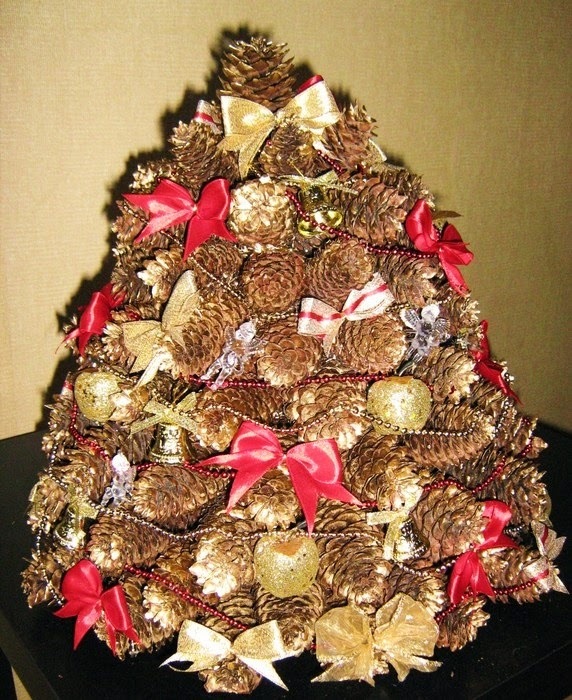 Nothing says you’re ready for Christmas, like a Christmas tree hanging from a Christmas tree. 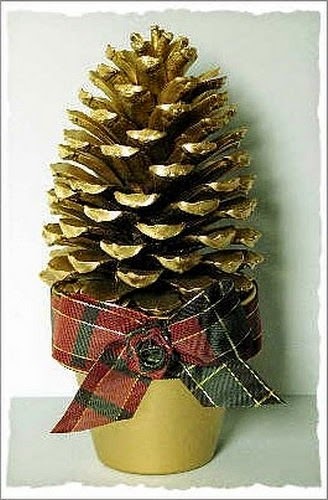 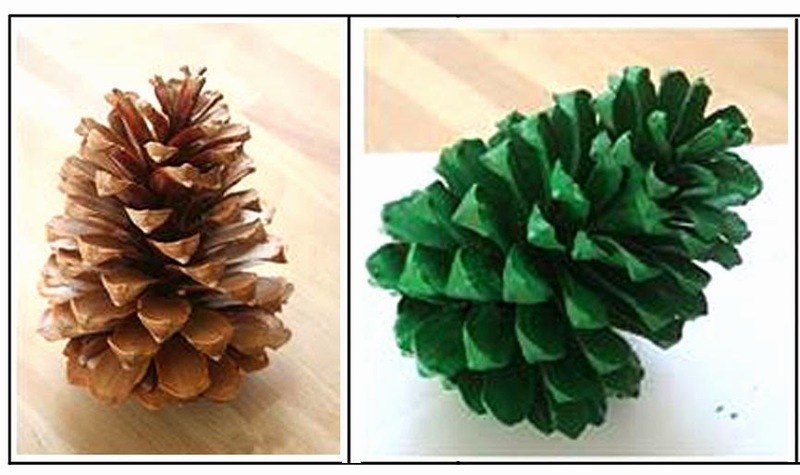 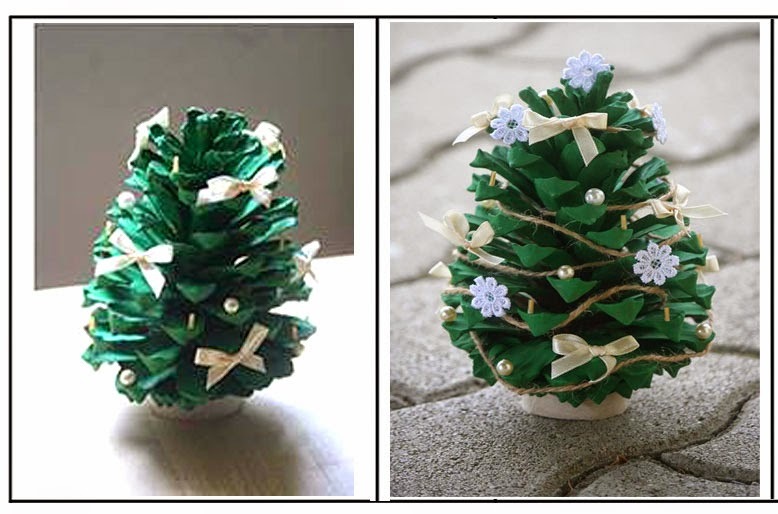 Turn a regular pine cone to a mini Christmas tree with a little creative effort.